PRAGUE—A strategic partnership agreement between Prague and Beijing is called into question by the Czech capital’s local leaders. They are proposing to remove one of the conditions from the agreement which requires Prague to uphold the Chinese regime’s “One China” policy. And if Beijing does not agree with the amendment, then Prague may terminate the agreement altogether. The city’s goal is to reject a policy that has no respect for human rights. The Partnership Agreement was signed in 2016 by Beijing’s the-then mayor Wang Anshun and Prague’s the-then mayor Adriana Krnáčová. Its goal is to promote a strategic partnership that “mutually benefits” both cities, mainly through cultural and economic exchanges. The Agreement is in effect for five years from the date it was signed. The City Council of Prague rejects the “One China” policy stipulated in the Partnership Agreement. Human rights is more important, the council said, according to an article published on Jan.15 by Czech media E15. Prague does not want to support the Chinese Communist Party’s political agenda on Taiwan. The aim is to reject a policy that is not in line with the long-term foreign policy direction of the Czech Republic, which was based primarily on respect for human rights. While Taiwan is a self-ruled island with its own constitution and military, China considers it a renegade province that must be reunited with the mainland, by force if necessary. Relations between China and Taiwan deteriorated since the island’s President Tsai Ing-wen, of the independence-leaning Democratic Progressive Party, swept to power in 2016. Since then, China has ramped up diplomatic, economic and military pressure on the island nation. The City Council, which now forms a coalition of five political parties, proposed to remove Article 3 from the Agreement. On Jan. 14, the city’s leadership said they want to officially approve the amendment by the end of the month. 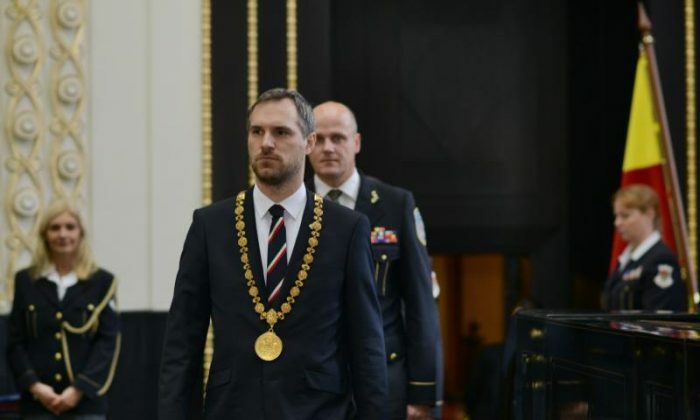 And if approved, the mayor of Prague, Zdeněk Hřib, will begin negotiations with Beijing’s representatives. Other local officials have also expressed their support. “The aim is to reject a policy that is not in line with the long-term foreign policy direction of the Czech Republic, which was based primarily on respect for human rights,” said Prague official Michaela Krausová (Piráti). “There should not be a political declaration in the agreement between cities. I am opposed to Prague’s support for the authoritarian regime that exists in China,” said Prague official Hana Kordová Marvanová (STAN). “TOP 09 [a political party] policy is long-term in the spirit of the former Czech President Vaclav Havel, that is, in the spirit of human rights,” said Prague official Jiří Pospíšil (TOP 09). When the Partnership Agreement was signed in 2016, Beijing promised to lease a panda to Prague Zoo. However, after two years the lease has not occurred. “I think the agreement should not be subject to China’s comments on China’s internal policy. Human rights are more than a panda in the zoo,” said Jan Čižinský (Praha sobě), Member of the Prague City Council. If Beijing refuses Prague’s proposal to amend Article 3 from the Agreement, then Prague may terminate its partnership with China’s capital, Czech media E15 reported on Jan. 15. In response to the proposed amendment of the Partnership Agreement, a representative of the Ministry of Foreign Affairs of the Czech Republic said that the ministry supported the “One China” policy. “The ‘One China’ policy has been supported by the Czech Republic continuously since 1990, fully in line with official EU and U.S. policy,” Foreign Minister Tomáš Petříček (ČSSD) told the journal Deník N on Jan.14. However, the ministry has no power over the decisions made by the City Council of Prague. The city of Prague has the right to amend the Partnership Agreement and to make its own decisions on this delicate matter. Xi's visit may open the Czech Republic to Chinese investment.